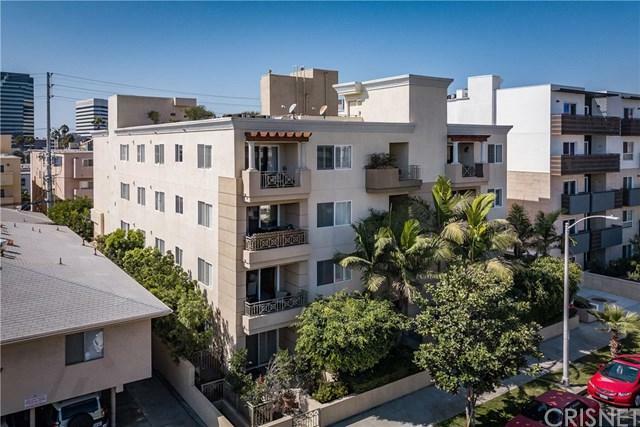 Stunning One Story Beautiful Westside /90025 Ground Floor Condo offers the most luxurious of living space. A sprawling one level home has granite counter tops in the kitchen and baths. Real hardwood floors throughout the home and marble flooring in the bathroom. Smooth Ceilings, recessed lighting, crown molding, clean. Light and bright with soaring high ceilings finished with wide crown molding and recessed lighting. Dual pain windows and top notch Plantation shutters. Spacious kitchen has granite counter tops with pass way counter top to the formal dining room. Great room/ Living room has an open concept and fireplace. The high ceilings bring ambiance into this detail inspired custom home with no details spared .... Very secluded and private location in the building. Security building, underground parking, security elevator and back side public parking for guests. Lush landscaped private patio is just fabulous and wonderful. West of the 405 off Wilshire Blvd. sets for great location and so much more. Built in 2002, this building has a large subterranean high security parking garage and elevator. Elevator is large and accessible. The rooftop terrace with extensive view of all of Los Angeles and City lights sets for a wonderful retreat, relaxation and views, views, views. Just a short distance to Wilshire's wonderful restaurants and shops. Sold by Joseph Cilic of Sotheby's International Realty.